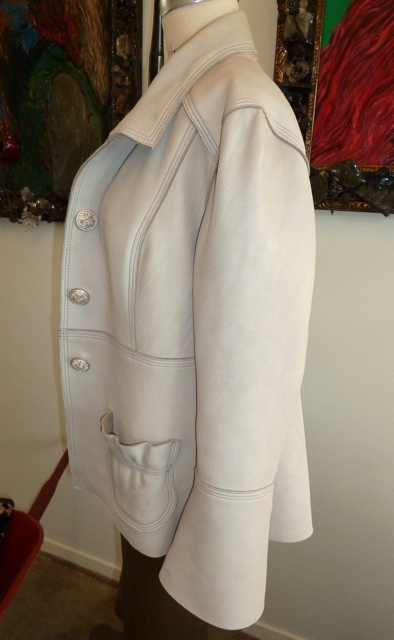 This woman's jacket is made from a thick but very soft deerskin leather. 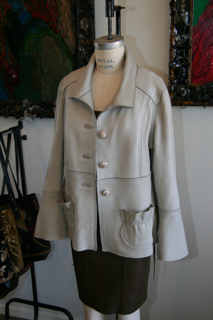 The styling is feminine by being slightly fitted at the waistline and flaired just a bit in the back. Approximately hip length, with darling small gathered patch pockets, and triple row stitching on it's over-lapped seams. The cut edges give it a modern minimalistic look with yet a hand crafted feel. The buttons are metal with a silver/white/pink coloring. 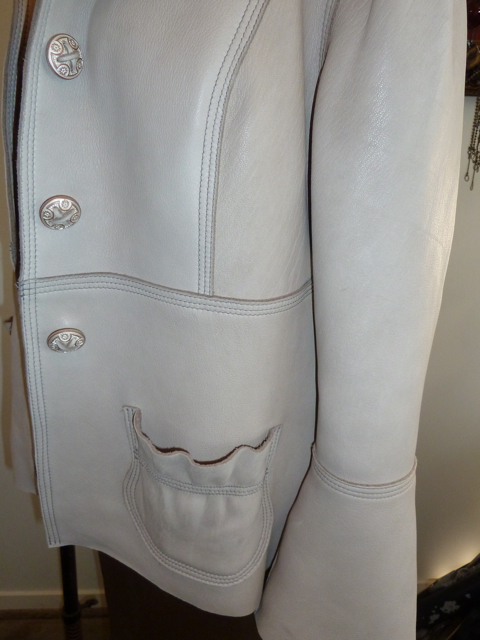 The lining is a brocade chinese satin, which simply completes it's prettiness. 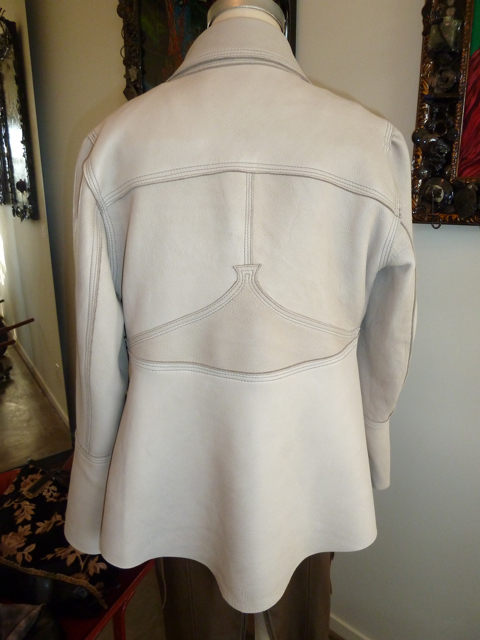 This jacket can be made in many different colors and sizes by custom order.